Mounted horse patrols in law enforcement has a rich tradition of service to the community. 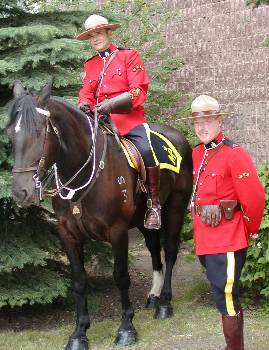 Many police historian agree on one thing, they do not know exactly which agency first used mounted horse patrols. One of the first recordings of law enforcement using mounted patrols occurred in 1760 in England. Sir John Fielding who was the Bow Street Magistrate, and organized a small horse mounted detachment to deter criminal activity on the metropolitan roads. In the United States, the first official recording of police using mounted horse patrols was with the Boston Police Department in 1870. 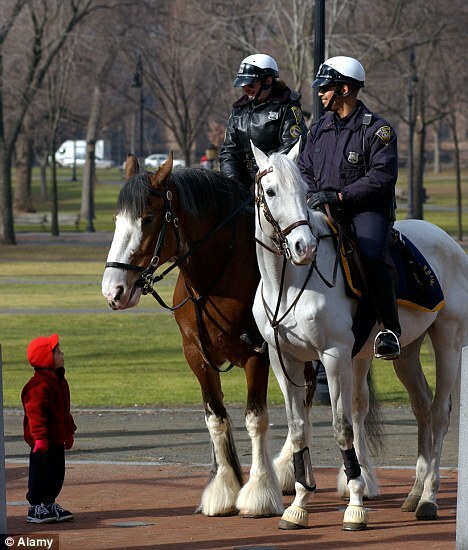 The following year, the New York City Police Department created a mounted police unit. The North West Mounted Rifles formed in Canada in 1873. This became the precursor of the world-renowned Royal Canadian Mounted Police known for their professional distinct appearance and law enforcement skills of “catching their man”. In the 1870s as the American west expanded, the Texas Rangers found fame protecting the frontier. Following the Texas Ranger lead, Arizona and New Mexico formed mounted patrols in their territories. With the recent police budget reductions, many police departments have either disbanded their mounted patrol units all together, or reduced their size. The reality is that the medical care, feeding, boarding, and training needed for a mounted horse patrol unit is expensive. The community can help save our mounted patrol units by creating fundraisers and actively volunteering and working with your local police department to find solutions to keep the history and professionalism of mounted horse patrols alive and well. Mounted police patrols are part of our history and provide an excellent opportunity to connect with the community. Finding ways to keep the mounted patrol units active and visible in the communities is a common interest that bonds the police and community together. Posted in Mark's Articles and tagged Community Policing, Community Relations, Criminal Justice, Mounted Police Patrol, Police, Police Budget, Sheriff. Bookmark the permalink.